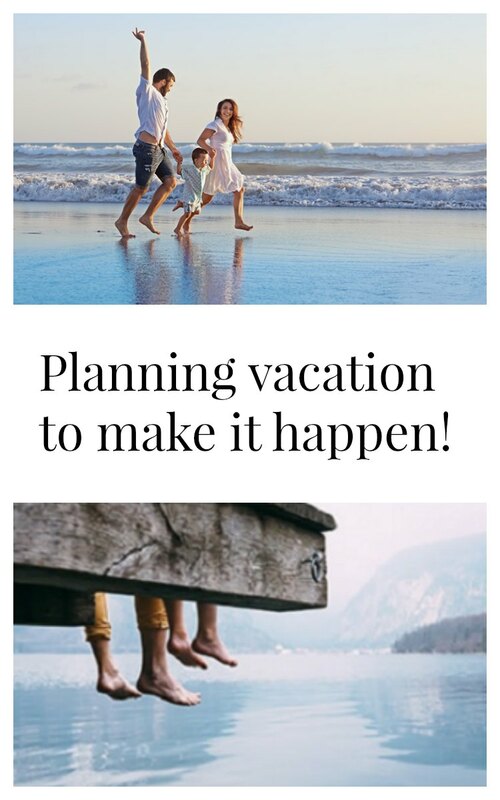 Home » travel tips » Planning vacation to make it happen! I’ve been writing about travel for more than five years, and one issue that comes up again and again is that people just can’t get away for a “real family vacation” anymore. One of the biggest issues cited is the pile up once people get back to work. They just can’t take vacation. Interestingly, when I talk with people from other countries, they are aware of our status as the “no vacation nation.” They wonder at our crazy drive to work — and why we would make such a choice. A recent survey by Alamo Rent a Car supports this apparent truth. In fact, their survey results show that while 38% of families do take weeklong vacations, another 36% of families take only 3-5 day trips. Odds of a weeklong vacation improve for those who are married (38% vs. 31% non-married), have held the same job for more than six years (46% vs. 35%f workers at their workplace for five years or less), and have a household income of $75,000 or more (45% vs. 35%). Still, none of the statistics reach a 50% threshold. That’s sad. It seems that the world knows we are working ourselves to death. The stats prove we work way too much and that family time takes the biggest hit. If we leave it there, well — that’s depressing. So how do you go about planning vacation? Make family vacation a priority. Plan ahead by blocking the dates and requesting vacation time at work as far ahead as you can. Planning vacation sometime other than crunch time might get a better response. It’s probably not a good idea for a tax accountant to schedule vacation in the first half of April. Once you commit to the time, hold to it. Plan your vacation budget. Vacations don’t have to be expensive to be amazing. Consider places within a few hours’ drive and take the scenic route instead. Sticking to a realistic budget, the credit card bills won’t stack up and everyone can relax. Get everyone involved in planning. I’ve written many posts on this — when the kids get involved in planning vacation, they tend to enjoy more and whine less. Doesn’t that sound great? Be realistic about the vacation schedule. I share this from personal experience (aka, I learned the hard way), trying to conquer a destination to see everything there just leads to exhaustion. My favorite family vacation tip: Give yourself permission to ditch the schedule and let the fun take over (just be mindful of the budget). Consider coming home a day early. If you are new to weeklong vacations, give yourself a buffer day. Use that last day of vacation to get the laundry done, mow the lawn, prepare to go back to work. It’s not ideal — but it’s better than coming home last minute and returning to work frazzled. What if you can’t take a full week? If you really feel you can’t take a full week of vacation, make the most of long weekends. Sandwich a weekend in the middle of your family vacation getaway weekend. Commit to several long weekends throughout the year and use those vacation days. Alamo’s resource, “The Scenic Route,” covers topics like travel budgeting, places to visit and vacation planning tips. With just a little planning, a family vacation every year is possible. Your family — and your boss — will thank you for it! Let’s give up the notion of “no vacation nation” once and for all! Special thanks to Alamo for allowing me to participate in this campaign to help make planning vacation easier. All opinions are mine.